You are here: Home Technology News Windows Updates – Should I? Comments Off on Windows Updates – Should I? Windows Updates – Should I? 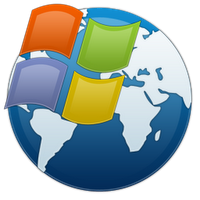 Windows Updates are mainly changes that Microsoft has made to Windows to fix security weaknesses that have been discovered. The weaknesses could allow hackers and others to get in your machine and do bad things. Windows Updates are designed to not only secure your computer, but improve its performance. Keeping on top of these updates can save your home computer from many headaches. You may even find, that some software packages will not install if your computer does not have the latest/required updates and service packs. 1. How does Windows determine which updates my computer needs? 2. If I choose to update Windows automatically, do I still need to visit the Windows Update website? No. Windows will automatically install updates for your computer as they become available. Also, for this version of Windows, the website has been replaced by Windows Update in Control Panel. In my opinion, keeping your machine up to date with Windows updates ensures your computer is running at its best potential.